An African safari is something that everyone should experience at least once. It offers the chance to let go of the pressures of everyday life and embrace instead the primal call of the wild. It's a chance to see unique flora and fauna in its natural habitat, and to find yourself uplifted by the breathtaking scenery of the African savannah. It is a popular myth that African safaris are only available to the wealthy - but the truth is, with a little careful planning, there's no reason why this once-in-a-lifetime experience has to cost more than any other form of international travel. The first step to booking an affordable African safari is to choose the destination that best suits your budget. East Africa's most famous safari destinations are synonymous with luxury safari lodges and sky-high park fees; and as such, safaris to countries like Kenya and Tanzania are often better suited to those with cash to burn. Botswana and Zambia can also be problematic due to the sheer remoteness of their most famous reserves. The Okavango Delta, for example, is best accessed via charter plane - which inevitably increases your expenses. The most budget-friendly safari destinations are those that are accessible, have plenty of choice in terms of game reserves and operators, and charge fees in local currencies rather than US dollars. 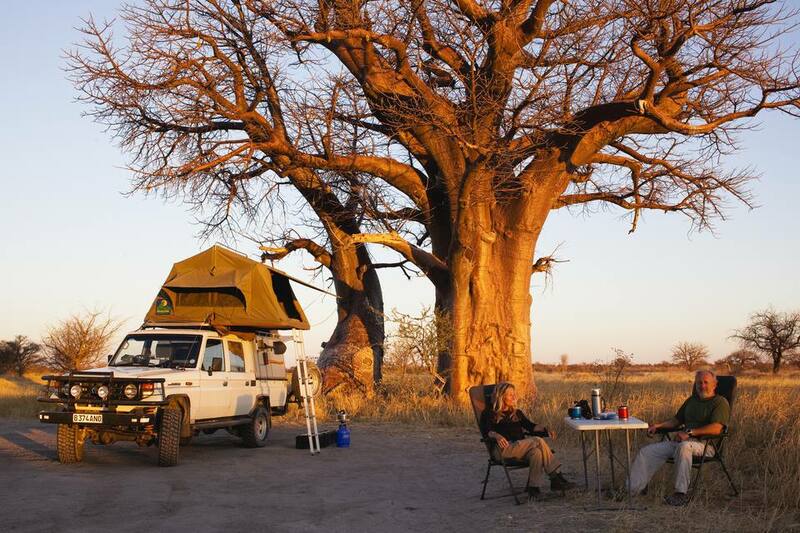 South Africa and Namibia are both well suited to the budget traveler, with great infrastructure for self-drive safaris, camping safaris and overland tours. Zimbabwe is another excellent option, thanks to the low cost of accommodation, food and transport. When choosing your destination, consider the cost of getting to the best reserves, the exchange rate, the cost of park fees and game drives. Destinations that don't require visas or vaccinations also help to keep prices low. No matter where you go, local tour guides, safari companies and accommodation options typically offer better rates than international companies. In particular, choosing a local operator can be a great way to keep costs reasonable for those that have their heart set on East African destinations like the Serengeti or the Maasai Mara. In addition to the lower cost, the pros of booking locally include an increased chance of last-minute availability (great if you meet fellow travelers on the road and decide to embark on a spontaneous Caprivi road trip or a quick detour to Kruger National Park). On the other hand, many companies can only be contacted upon arrival, which makes advance booking difficult. Group safaris come in all shapes and sizes, from minibus tours tailored to mature travelers to social backpacker excursions with well-known overland companies like Nomad Africa Adventure Tours. Group safaris are a great option for two reasons. Firstly, they're cheaper than private tours, allowing you to split the cost of accommodation and transport while also granting access to group rates for park fees and guides. Secondly, they can be a wonderful way to meet other travelers and make lifelong friends. This social aspect can become a problem if you don't get on well with your group, however, while some may find the fixed itinerary of a group tour restricting. Those that prefer a little more freedom should consider a self-drive safari, whereby you rent a vehicle and drive independently to (and around) your chosen game reserves. The pros are manifold - you can tailor your itinerary to suit your interests, and change it whenever you like. You decide when to stop for photos, which routes to take within the reserve, and where to stay at night. Many self-drive vehicles come with a rooftop tent, keeping the cost of accommodation to a minimum as well. Drawbacks include the lack of an expert local guide. You also need to choose a destination with safe roads and safari parks that allow self-drive vehicles - both of which abound in South Africa and Namibia. No matter what kind of safari you choose, compromising on accommodation can help to reduce costs dramatically. Most of the National Parks in Southern Africa have public camping facilities, ranging from full-service camps complete with waterholes, restaurants and electricity to wilderness sites with little more than a cleared space to pitch your tent. These are not luxurious, but they're incredibly affordable. They also offer the romance of spending a night under canvas in the African bush. Some of the more popular sites (like Sesriem Camp in Namibia's Sossusvlei dune sea) fill up quickly and must be booked months in advance. If the comfort of a roof and four solid walls is more your style, avoid the luxury lodges located inside the reserves. Instead, look for a budget hotel near the park gates and arrange day trips into the reserve instead. The major drawback of this option is that you won't be able to participate in pre-dawn game drives or night drives. In Africa, the low season usually coincides with the rainy season, when prices for safari tours and accommodation fall dramatically. Low prices aren't the only incentive for traveling during this time, however. The rains bring with them lush landscapes and fewer crowds and often coincide with baby season for many of Africa's famous herbivores, as well as the year's best birding. The downside is that with ample food and water everywhere, animals disperse and can be harder to spot, especially in areas with thick undergrowth. Some camps and lodges close for the rainy season, and roads can be difficult to navigate if flooding occurs. Many people visit several different game reserves in order to see the widest range of habitats and wildlife possible during their time in Africa. However, choosing just one park and spending your entire vacation there is a great way to cut down costs on domestic flights, vehicle rental or transfers. Make your decision based on what you most want to see. If your priority is catching the annual Great Migration, for example, focus your efforts on the Serengeti or the Maasai Mara. If ticking off the Big Five is important to you, opt for a major reserve like the Kruger or Hwange National Park.